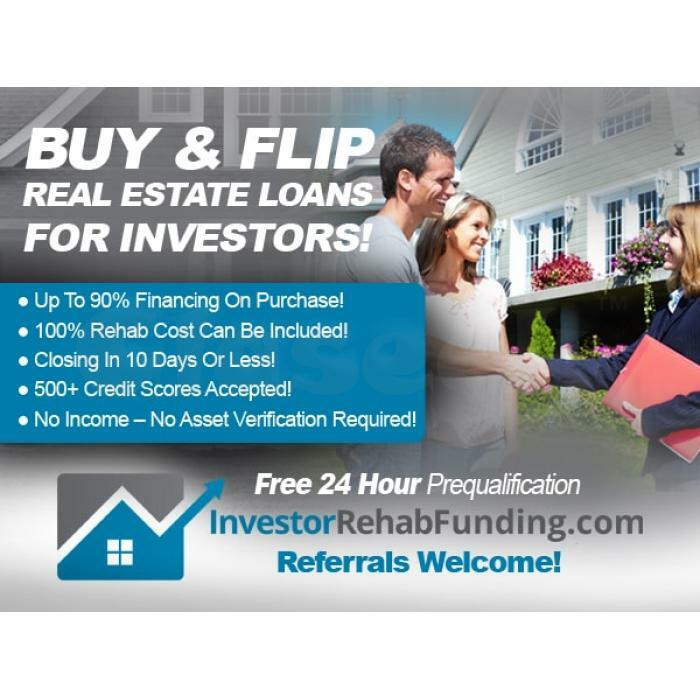 Residential real estate investor loans, purchase only, purchase and rehab in one loan and refinance. No credit check when closed in business name. No employment and No income verification Required. Up to 90% of purchase price and 100% of rehab cost. Apply online 24 Hour Free Prequalification.